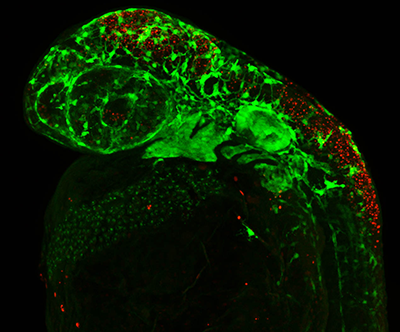 Photo Credit: Courtesy of Trainor Lab. Scientists at the Stowers Institute for Medical Research have reported a detailed description of how function-impairing mutations in polr1c and polr1d genes cause Treacher Collins syndrome (TCS), a rare congenital craniofacial development disorder that affects an estimated 1 in 50,000 live births. Collectively the results of the study, published in the current issue of PLoS Genetics, reveal that a unifying cellular and biochemical mechanism underlies the etiology and pathogenesis of TCS and its possible prevention, irrespective of the causative gene mutation. Read More. 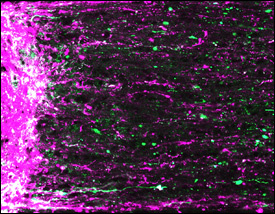 Harvard Stem Cell Institute (HSCI) researchers at Harvard University and the Broad Institute of Harvard and MIT have found evidence that bone marrow transplantation may one day be beneficial to a subset of patients suffering from amyotrophic lateral sclerosis (ALS), a fatal neurodegenerative disorder more commonly known as Lou Gehrig’s disease. 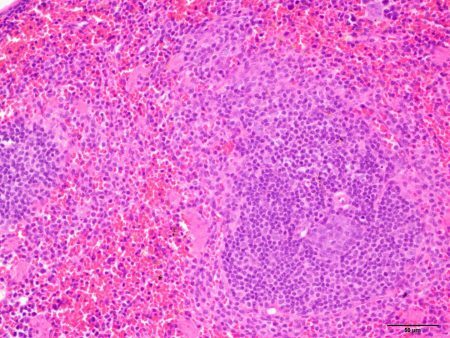 In the photo of the murine spleen shown, lymphoid tissue (purple) is responsible for launching an immune response to blood-born antigens, while red pulp (pink) filters the blood. 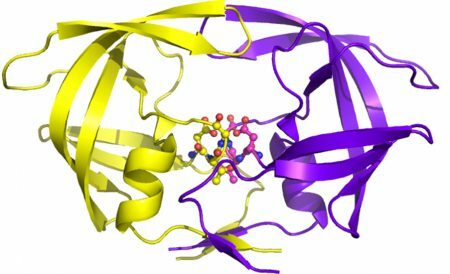 Mutations in the C9ORF72 gene, the most common mutation found in ALS patients, can inflame lymphoid tissue and contribute to immune system dysfunction. ALS destroys the neurons connecting the brain and spinal cord to muscles throughout the body. As those neurons die, patients progressively lose the ability to move, speak, eat, and breathe. Read More. Regenerating mouse retinal ganglion cell axons (magenta and green) extending from site of optic nerve injury (left). Photo courtesy of Andrew D. Huberman. NIH-funded mouse study is the first to show that visual stimulation helps re-wire the visual system and partially restores sight. A study in mice funded by the National Institutes of Health (NIH) shows for the first time that high-contrast visual stimulation can help damaged retinal neurons regrow optic nerve fibers, otherwise known as retinal ganglion cell axons. In combination with chemically induced neural stimulation, axons grew further than in strategies tried previously. 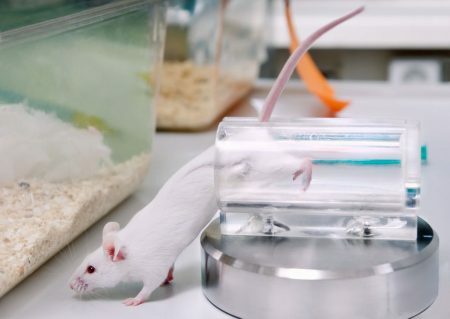 Treated mice partially regained visual function. The study also demonstrates that adult regenerated central nervous system (CNS) axons are capable of navigating to correct targets in the brain. The research was funded through the National Eye Institute (NEI), a part of NIH. Read More. A number of countries have ended some types of research with chimpanzees over the past decades. For example, the US National Institutes of Health announced in November 2015 that it would no longer support many types of chimpanzee research. In Europe, the fate of former research chimpanzees has depended upon a mix of private wildlife parks and zoos for the animals’ care and management. 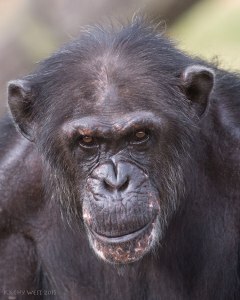 The outcomes in term of chimpanzee health and survival remain relatively unknown. Read More. Sleep is a mystery. It’s essential — without enough sleep, we die — and yet scientists still aren’t sure why we need it.But the how of sleep is just as intriguing as the why. 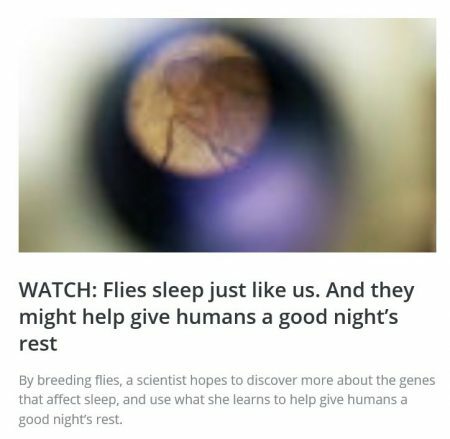 Amita Sehgal, a sleep researcher at the University of Pennsylvania, has discovered some of the key genes that control our 24-hour circadian cycle, making us fall asleep at night and rise again in the morning. Sehgal didn’t find these genes in people, however. She found them in flies. Read More. Over the past 6 years, Drs. 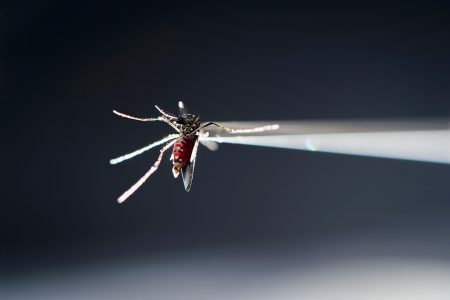 Peter Barry and Alice Tarantal, California National Primate Research Center (CNPRC) at UC Davis, have been collaborating with Dr. Louis Picker at Oregon Health Science University (OHSU)–Oregon NPRC to develop and test a vaccine and potential cure for HIV. OHSU is now recruiting volunteers to be part of the first human trials for this exciting new development in the prevention and treatment of HIV. Read More. Consider the recent report by Ali Rezai and colleagues, in the journal Nature, of a patient with quadriplegia who was able to use his hands by just thinking about the action. The signals in the brain recorded by implanted electrodes were analysed and fed into the muscles of the arm to activate the hand directly. Read More. 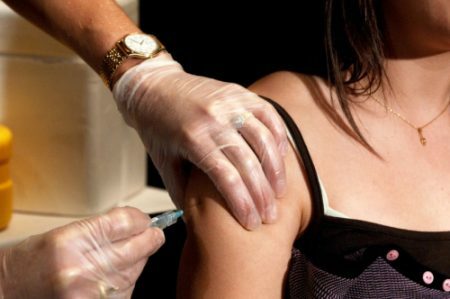 A recent article in the journal Pediatrics reported that vaccination against human papilloma virus (HPV) resulted in a 64% reduction in infections in girls aged 14-19. The vaccine, Gardasil, came onto market in June of 2006 and protects again four different HPV types: the two most prevalent high-risk viruses, HPV16 and HPV18, and the two most common causes of benign genital warts, HPV6 and HPV11. Protection against HPV16 and HPV18 is particularly important to human health given that these viruses are responsible for 70% of cervical cancers in women – a cancer which caused 270,000 deaths in 2012. The effectiveness of the HPV vaccine is excellent news in our quest to reduce the deadly toll of cervical cancer, and received widespread coverage in the mainstream media. Read More. Type 1 diabetes is an autoimmune wikipediadisorder that shuts down the body’s production of insulin. 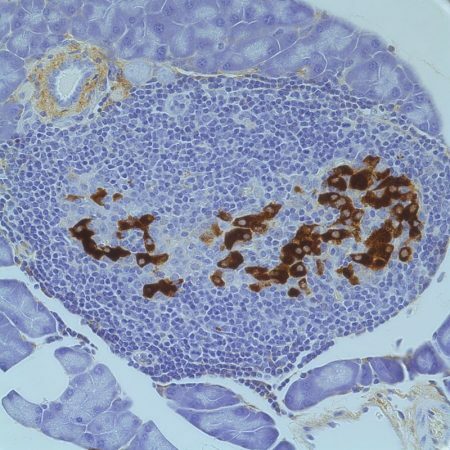 This pill blocks the buildup of a specific acid in the pancreas, which then stops the disorder from taking hold, according to research published this week in the Journal of Clinical Investigation. Type 1 diabetes is an autoimmune disorder that shuts down the body’s production of insulin. Normally, insulin is made by beta cells in the pancreas; it’s a hormone that’s important for converting the sugars we eat into energy. But for patients with type 1 diabetes, the body’s immune system destroys the pancreatic beta cells, effectively halting insulin production. The condition is different from type 2 diabetes, where the body doesn’t produce enough insulin or the insulin stops working properly. Type 1 diabetes, usually diagnosed during childhood or adolescence, affects more than 1.25 million Americans. Read More.